Saw this while browsing eBay earlier this year. Didn't bid, but wanted to share. 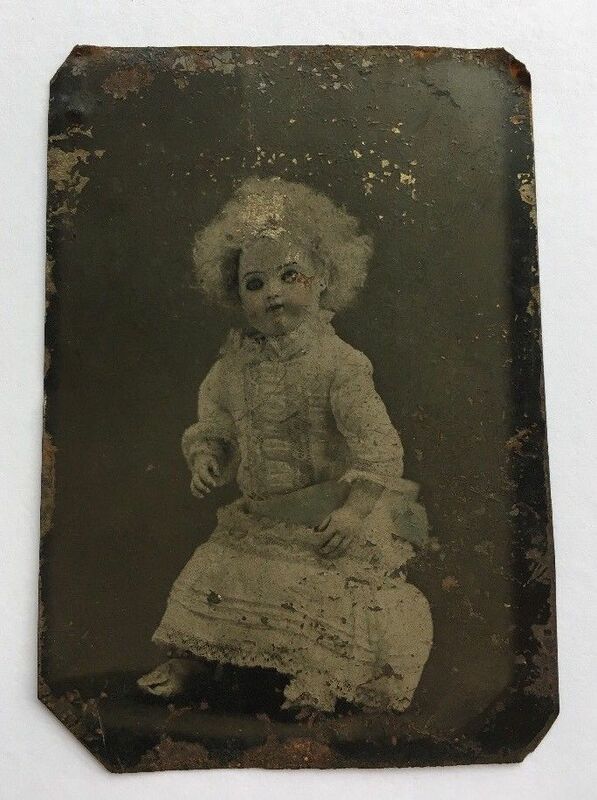 ANTIQUE 1860's TINTYPE PHOTO PHOTOGRAPH POST MORTEM PHOTO OF BABY GIRL with blonde curly hair and lacy dress. Good antique condition with wear as seen on my photos descriptions. Obviously, the photograph is not of a baby girl. It's clearly a doll. But it's still creepy as hell. You should probably go and Google something cute like "fluffy baby bunnies" before you go to bed.